Spring is in the air, I’ve been reading (as always) and it’s time for my latest selection of recommended new releases. Narrowing it down is never easy – I’ve enjoyed far more than I can include, especially as there were many with overlapping themes. There’s huge variety amongst the ten which stood out (and I tell you why), including a poignant memoir , historical novels based on real people [3, 5] or wild imagination , novels reflecting on relationships [1, 9] and family bonds [2, 7] and, as I was in the mood for a change, two very different thrillers [6, 10] which grabbed me and wouldn’t let me go. Several Spotlight authors will be visiting the Literary Sofa in the coming weeks to share some thoughts on their process and inspiration, and I’ll be reviewing their books in more detail – see the Sofa Dates below. Whatever your taste in books, I hope you find something here which appeals! WHY I CHOSE IT: The unusual premise provides perfect territory for this mature and nuanced examination of grief and the complex and enduring nature of human ties, with some searing ‘moments of truth’. In the sixth arrondissement everything is perfect and everyone is lonely. This is the Paris of thirteen-year-old Paul. Shy and unloved, he quietly observes the lives of the self-involved grown-ups around him: his glamorous maman Séverine, her young musician lover Gabriel and his fitness-obsessed papa Philippe. Always overlooked, it’s only a matter of time before Paul sees something that he’s not supposed to see. Seeking solace in his unlikely friendship with tear-away classmate Scarlett and the sweet confections from the elegant neighbourhood patisseries, Paul yearns for unconditional love. But what will he do if he can’t find it? 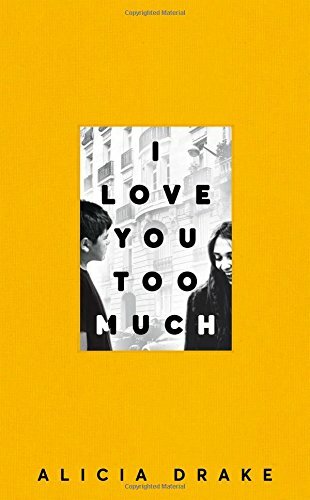 WHY I CHOSE IT: This touching coming of age story is set in a part of Paris I know very well. Alicia Drake captures its every dimension, from the lie of the land to the damning exposé of its privileged residents’ skewed values. 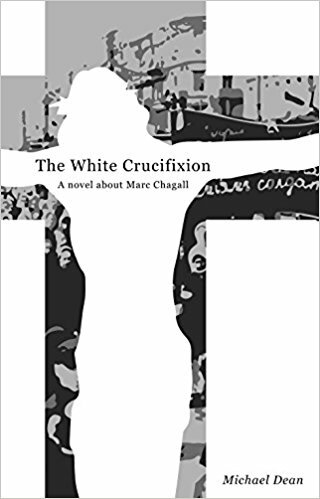 The White Crucifixion starts with Chagall’s difficult birth in Vitebsk 1887, and paints a vivid picture of a Russian town divided by belief and wealth, rumours of pogroms never far away, yet bustling with talented young artists. In 1913 he relished the opportunity to move to Paris to take up residence in the artist colony ‘The Hive’ (La Ruche). The Yiddish-speaking artists (École Juive) living there were all poor, yet many of its artists were to become famous, among them Amedeo Modigliani, Chaim Soutine and Osip Zadkine. The following year, Chagall and his wife Bella made what was supposed to be a fleeting visit to his beloved Vitebsk, only to be trapped there by the outbreak of the First World War, the subsequent Russian revolution and the establishment of the communist regime, which was increasingly hostile towards artists like Chagall. Yet he kept on painting, and the novel uncovers the inspiration to many of his greatest works. WHY I CHOSE IT: With a vibrant sense of time and two places, this is an entrancing vision of the lives of Chagall and other artists whose creative drive was fuelled by political turbulence and persecution, personal hardship and tragedy. Lovers of art and history will find it fascinating. This novel really added to my enjoyment of the Modigliani exhibition at Tate Modern until 2 April. 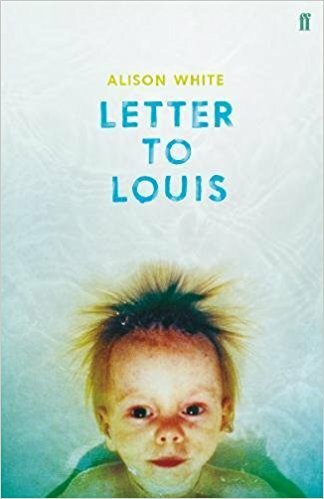 WHY I CHOSE IT: At the York Festival of Writing last autumn I was lucky to read Alison’s work (a different project) and get to know her a little, both of which gave me confidence that this memoir would be profoundly affecting – and it really is. When Lale Sokolov arrived in Auschwitz-Birkenau in 1942, he was given the job of tattooing the prisoners marked for survival – scratching numbers into his fellow victims’ arms in indelible ink to create what would become one of the most potent symbols of the Holocaust. Waiting in line to be tattooed, terrified and shaking, was a young girl. For Lale – a dandy, a jack-the-lad, a bit of a chancer – it was love at first sight. And he was determined not only to survive himself, but to ensure this woman, Gita, did too. 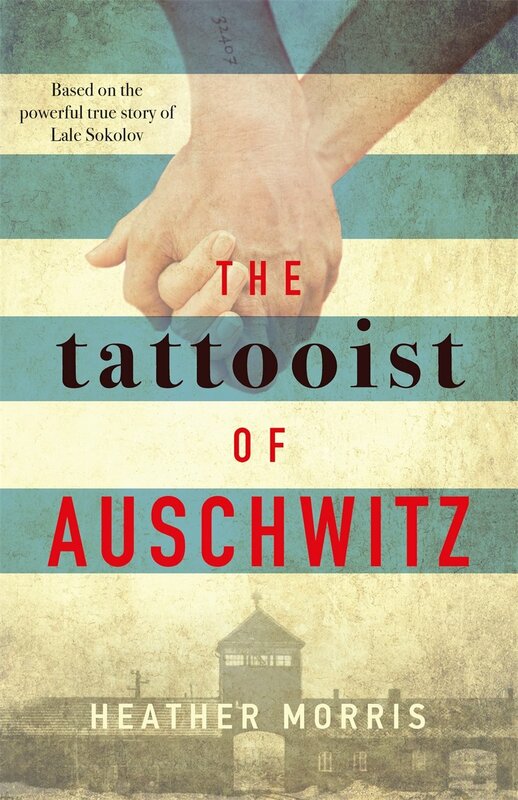 So begins one of the most life-affirming, courageous, unforgettable and human stories of the Holocaust: the love story of the tattooist of Auschwitz. WHY I CHOSE IT: Stories of the Holocaust will always be harrowing and shocking no matter how many have gone before, but the character of Lale Sokolov makes this one uniquely romantic, life-affirming and even funny in places. Juliette loves Nate. She will follow him anywhere. She’s even become a flight attendant for his airline, so she can keep a closer eye on him. The fact that Nate broke up with her six months ago means nothing, because Juliette has a plan to win him back. She is the perfect girlfriend. 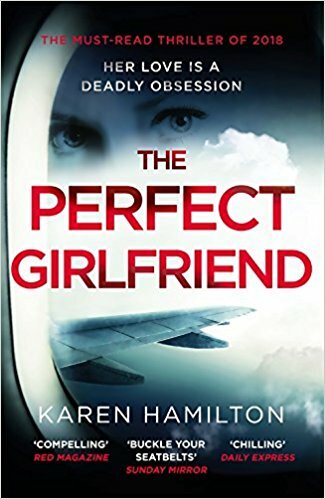 Why I chose it: I willingly suspended disbelief to enjoy this insider view of the airline industry from dangerously obsessed Juliette, who will stop at nothing to win back her reluctant pilot ex-lover. For once, it’s not men behaving badly. Taut, funny and outrageous. Mother and daughter Caroline and Erica are the best of friends and the worst of enemies. Set in the American mid and south-west, their story unfolds in reverse over more than fifty years, against a backdrop of sweeping social change. Feisty and argumentative, they roll with the punches, surviving car crashes, awkward family gatherings, relationship disasters and plastic surgery. 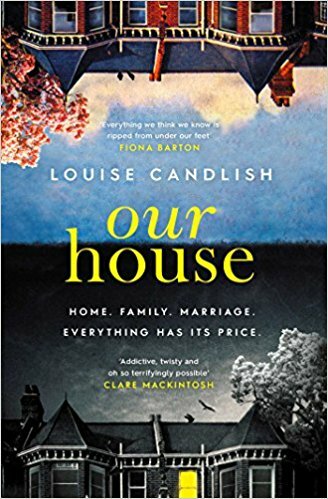 WHY I CHOSE IT: Amongst the many literary portrayals of fraught mother-daughter relationships (one of my own themes as a writer), this stood out for the quality of the writing, skilful use of reverse chronology and a realism and honesty which made it a tough but powerful read. I’d like to see far more books like this get published. Eighteenth-century London – the lives of the sisters Fitzgerald, Constance and Verity, become entwined with the nearby Fowler household, charged with providing safe harbor to a mysterious baby from far away. 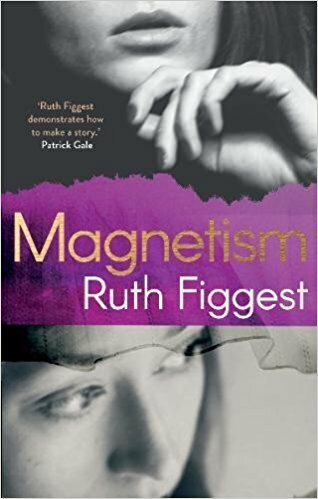 Camden, London, 2015 – the lives of the sisters Fitzgerald, Constance and Verity, are consumed by the wait for this boy, who may or may not be dead. There is no way of knowing. Deep within the savage beauty of Iceland, a hidden pool grants those who drink from it endless life. For those that have, their secret must remain held close for two hundred years, but time is slipping away, and malign forces are gathering. And those who have sipped from the pool discover all too quickly that immortality is no gift. In the absence of death, true darkness emerges. 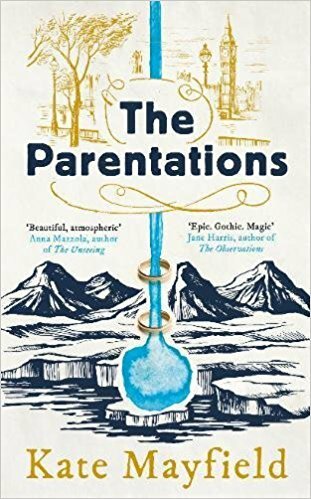 WHY I CHOSE IT: This ambitious and richly imagined debut novel pulled me into its strange world, leaving me in awe of its rich and sensual prose, depth of thought and strength of characterisation. A literary novel with broad appeal, screen potential and the feel of a masterpiece. Mona is a young Irish girl in the big city, with the thrill of a new job and a room of her own in a busy boarding house. On her first night out in 1970s Birmingham, she meets William, a charming Irish boy with an easy smile and an open face. They embark upon a passionate affair, a whirlwind marriage – before a sudden tragedy tears them apart. Decades later, Mona pieces together the memories of the years that separate them. A tale of grief, longing, and a love that lasts a lifetime. WHY I CHOSE IT: This layered novel is much more than a heartrending love story: as well as the Irish charm that will appeal to fans of Brooklyn, there are sinister and unsettling undercurrents which add complexity to plot and characterisation. Good to see a woman of 60 centre stage – again, we need to see more of this in publishing! 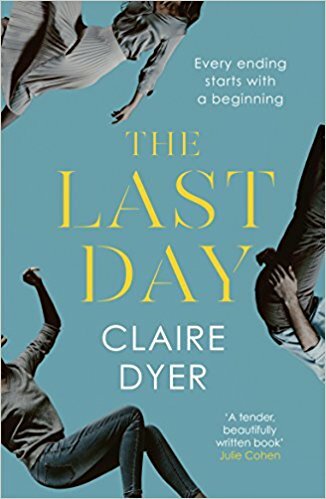 When Fi Lawson arrives home to find strangers moving into her house, she is plunged into terror and confusion. She and her husband Bram have owned their home on Trinity Avenue for years and have no intention of selling. How can this other family possibly think the house is theirs? And why has Bram disappeared? Bram has made a catastrophic mistake and now he is paying. Unable to see his wife, his children or his home, he has nothing left but to settle scores. As the nightmare takes grip, both Bram and Fi try to make sense of the events that led to a devastating crime. What has he hidden from her – and what has she hidden from him? WHY I CHOSE IT: An intriguing set-up, engaging cast and relentlessly twisting plot. Although set in south London, much of the biting social satire could equally apply to my north London neighbourhood and many others around the country. Highly compelling and entertaining. Do any of my choices leap out at you? If you’ve enjoyed this post, please share on social media, with your book group or anyone who might be interested – spreading the word about good books is what this blog is all about, so I’d love to hear which ones you’re enjoying or looking forward to this spring. If you’d like to receive an email notification of my weekly posts, enter your address in the Sign me up! box above. Some great books here and I agree with The Tattooist of Auschwitz as a must read for everyone! Also I LOve You Toom Much. Next on my list is The Trick to Time. Would love to hear what you think of it. As your daughter suggested, I think you’d also find the Chagall novel interesting. Great selection! The Tattooist of Auschwitz’ and ‘The Trick to Time’ is definitely now on my tbr list. Do let me know your verdict! 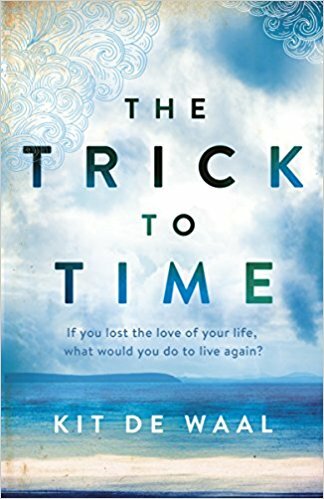 Have just finished The Trick to Time. It is amazing but readers need to be warned to have plenty of tissues to hand! Ooh, some very interesting sounding reads here!! Thank you! So pleased to hear that, thanks!